If you’d like to enjoy the great outdoors this winter, but don’t have your own equipment, you can rent what you need from Outdoor Recreation. 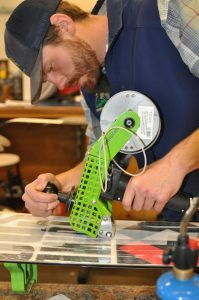 Get fitted for rental equipment between 10 a.m.-5 p.m. Mondays – Fridays and 10:30 a.m.-1:30 p.m. Saturdays. For any questions, call us at 719-556-4867, Option #1 or visit the Ski Shop in Bldg. 640. Basic Tune – $25, includes stone grind, machine edge and machine wax. Complete Tune – $35, includes base repair, stone grind, edge polishing and hand wax. Performance Tune – $45, includes base repair, stone grind, diamond polish edges and performance hand wax. 24-Hour Turn-Around – Available for additional charge, based upon staff availability. 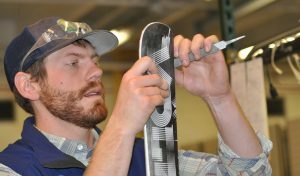 Routine maintenance on your skis and snowboard is critical to an amazing day on the hill. 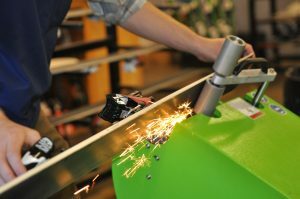 Learn the basics of ski and snowboard tuning from our trained ski technicians. They’ll teach all the basics you’ll need in order to keep your gear ready to ride between professional tunes. Morning Clinic will be offered 8-10 a.m. on Tuesday, February 12. Evening Clinic will be offered 4-6 p.m. on Thursday, February 14. Cost: $45/person. (Please call for Active Duty pricing.) 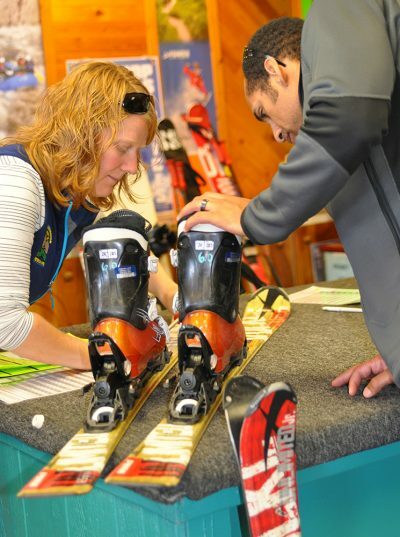 Includes instruction from professional ski technician, repair supplies during the course. Sign up: By close of business the day prior to the clinic. 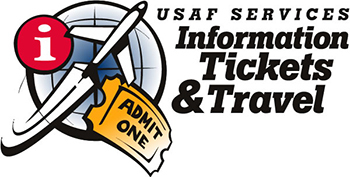 For more information, call 719-556-4867, Option 1.